Welcome to another meetup organizer newsletter full of news, information and inspiration for your local meetup. This will be the last newsletter for the year 2018. If you have been involved with organizing meetups for a while, you will be familiar with the annual meetup surveys that we send out at the end of each year. These are surveys that we send out to all meetup organizers and members to find out how you feel the meetup program is going and provide feedback on what we can do to improve things. This time around we’re changing the schedule slightly and will be sending those out in January 2019, so keep an eye on your inbox for those and share them with your meetup group – more responses is better for the program overall! As many of you know, WordPress community programs benefit greatly from the generous financial support of a number of companies. WordPress Global Community Sponsors allow us to pay for meetup venues when necessary, help with accessibility costs for WordCamps and meetups, and provide every single WordCamp in the world with a “nest egg” of sponsorship on the very first day of active planning. We’d like to take a minute here to give our global sponsors a big thank you for their ongoing commitment to supporting WordPress global community programs! Our gold sponsors for 2018 include Jetpack and WooCommerce worldwide, and Bluehost in the Americas. Silver level sponsors are GoDaddy worldwide, Bluehost in Europe, Africa, and Asia, and DreamHost in the Americas. Finally, BoldGrid was a bronze level sponsor in the Americas. Thank you to all of these companies for their dedication to global community events. Planning for your 2019 meetup schedule and struggling to come up with ideas of find speakers? Angie Meeker might just have an idea that will help you – the Columbus tech community has quarterly “Meetup of Meetups”, where the various leaders of different meetups in get together to discuss what is upcoming at their meetups, what their needs are individually, and how they can best contribute to needs in the city. These meetups are held every quarter, with a year end ‘Meetup of Meetups” party. 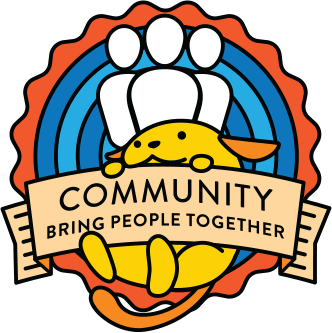 This is a fantastic way to connect your local WordPress meetup group with other related communities in your area and it would be great to see a WordPress community lead the way in this sort of thing. The meetups who have been running the diversity outreach speaker training workshop to get more women and other underrepresented groups to start speaking at their meetups and WordCamps have been having phenomenal results. Many of the WordCamps achieved 50% or more women speakers in less than a year. Our last training of the year will be Sunday, December 16th, 2018 @ 17:00-19:00 UTC.